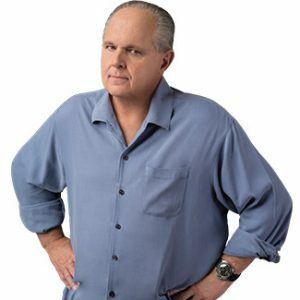 RUSH: You remember after the San Bernardino massacre that James Comey and the FBI were demanding that Apple create a back door for them to get into every iPhone? This ransomware, this is government developed stuff, they keep it like they keep diseases at the CDC, and this is a great example of why Apple was right. RUSH: Okay, this ransomware stuff. It’s a new kind of computer hacking, and it is becoming more widely proliferated out there. And essentially the way it works is, you can trigger it with a phishing email. You can fall victim to a phishing attack. It generally can’t happen unless you help it to happen. It’s not as though your computer is invaded without you knowing it. You get an email or something — a message — that looks legitimate from someplace, and you click on a link because it’s requiring you to, suggesting you do. When you click on that link, you’re sent to a website that then infects the computer. In this case, with this ransomware virus — which has a couple of different names — WannaCry, WannaCrypt, WannaCry-WannaCrypt ransomware. It’s all over the world now, and once you click on the link, what happens is that the hacker encrypts all of the data on your computer and sends you an email (actually, you end up at a website) that tells you you’ve been hacked. Your data has been encrypted and you have to pay a certain amount of money in a certain amount of time in order to be sent the decryption key, the password. And if you don’t, then your data will be lost and destroyed forever. When that originally happened, the ransomware was attacking companies and institutions and the ransom was very expensive. Immediately, computer people began working on how to defeat the encryption without paying the ransom, and what the ransomware makers decided to do then was to really lower the cost of the ransom to make it the easiest option that somebody who had been hacked would face. If they charged you $150 or $200 or $500, that’s theoretically much less of a hassle and it’s much speedier than to try to go out and get rid of the virus that’s in your computer or the hack and find a way to find the key to decrypt it. And so that’s the latest manifestation. Ransomware is not usually that expensive. In this case, it is so widespread that it affected hospitals all over the world. It’s an indication that if they do something like this, it could affect the power grid. Imagine being able to take us back to the seventeenth or eighteenth century with no electricity. So people take this stuff very seriously as they should. Now, how does it happen? Where does this stuff come from? You know, just like the Centers for Disease Control maintains every virus that they can get their hands on for study — learn how it mutates, learn to find ways to beat the virus or to treat it, try to find antidotes, what have you — computer viruses are the same way. They are kept by security agencies and governments, and they’re studied. They’re perfected. People seek ways to defeat them, and that is how this ransomware got out. It was hijacked from a government repository, or a version of it was, and it has led to an argument over whether or not government should be stockpiling these things because governments have shown that they’re not the best safeguards. Governments are not the best protectors of these kinds of things. There’s too many people involved. They may not have the best employees — the highest, the greatest engineers and so forth — working there. The private sector pays much more than government does, so goes the theory. And then we learned that that the NSA and the FBI had developed their own hacking tools that would allow them to hack a network or a computer and make it look like somebody else had done it. The latest WikiLeaks dump — featuring mountains and mountains of data from the CIA — proved just this, that the CIA and the NSA have all kinds of different exploits. Zero-day, any number of exploits that can hack enemy computers. We’re constantly trying to hack the ChiComs and the Norks. They’re constantly trying to hack us. That’s another reason why this Russian collusion stuff… People are being led to believe that it hardly ever happens and the Russians are way ahead of the game. “The Russians tried to tamper with our elections!” We have long… We’ve not just tampered with elections, we really have affected elections in certain places. It’s not uncommon. This is what happened at the highest levels of government security. The Pentagon, the CIA, they’re constantly under assault from any number of people, pajama-clad little kids in their basements are trying to hack in and everybody else in the world is. And that’s why computer network security is such an improved thing, a great thing, and why there’s so much attention paid to it, because the exploits and the attacks are getting more and more sophisticated. So this takes us back to the San Bernardino massacre where the couple involved had an iPhone 5c. It was recovered, but it was password protected. It was locked, and the FBI had no way of getting in, because Apple security is pretty tight. If you use the touch ID and if you use a six-digit number to lock your machine, it can take years with a computer trying every possible combination. So the FBI called Apple and they said, “We want you — we command you — to build us a back door into your operating system for just this kind of thing. We need to find out what these people were doing. We need to find out who their accomplices, if any, are. We need to find out what other plans they might have. “And it’s all on that phone, potentially. And if you won’t let us in then you, Apple, you’re a bunch of creeps and you’re not good Americans.” You remember the fight. And the Apple CEO, Tim Cook… See, Apple has made a big, big push on privacy. It’s not just a marketing thing. They really are into it for a substantive belief in privacy. Let me give you an example of how Apple does it versus others. Google has hardly any privacy whatsoever because they use every bit of data from every user they can to custom tailor advertising to everybody. Now, Google has something called Google Now, they have Google Assistant, which is their version of Siri. Google is able to predict what their users are going to do before the users do it, because they have data of what all their users are doing. They have location data, they have where their customers are going to dinner, they have what hotels they’re staying in because it’s all in Google’s system. It’s all on the Google Cloud. And Google uses… They claim it’s private. They claim nobody ever has access to it except Google, and they don’t even know it personally. They just use it to tailor advertising to each individual that uses Google. Apple doesn’t do that. Apple keeps all of that data on your phone, not in their Cloud. Now, this results in Google being able to offer more of these predictive services. Like, locations. For example, you pick up your phone and it tells you out of the blue that it’s gonna take you 20 minutes to get to wherever your kids at day care. And you say, “How does know it that? How does it know?” You think it’s cool, 20 minutes — and the next day might tell you 25 ’cause traffic is bad. And you go, “Wow, how does it know that?” Well, it knows that because you’ve done this. You go to day care every day at a certain time, Google knows it, and they return the favor to you in the form of having your phone alert you to what traffic problems there are, maybe an alternate route. Apple does the same thing but they keep it on the phone. And it’s not nearly as much data, because there are storage concerns and there’s memory concerns and battery life concerns. But all of that data — even your location data — Apple does not have it. If I may make a brief aside, it’s what makes the iPhone even more dazzling as a device, because it’s able to do all of these predictive things. Not nearly as much as Google can, but it’s still able to do the same thing. You go to day care every day, the iPhone will tell you after about a week, it takes a week to build up the pattern, and then if you go to day care once in the morning, once in the afternoon, it will tell you — if you know where to look. But Apple keeps as much of that data on the phone, not in their cloud, because of their commitment to privacy. As a result, Apple’s services in this area are not nearly as wide and expansive as Google’s are, and Apple has rolled the dice and has said that their customers will appreciate that and be more inclined to use Apple products, because their activities and locations are actually private. It’s not anywhere on Apple’s servers. It’s on your phone. And the way you can demonstrate this to yourself — it takes awhile for — let’s talk location data. It takes a while for all of this data to build up. In the old days, when you got a new iPhone, it would take two weeks of going to and from home and work before the data of travel times, traffic problems, routes that you should take would show up, because they had programmed it for the phone to take two weeks to make sure they got an accurate approximate time of day you left every day. In other words, if you leave at 11 a.m., they’re not gonna show you at six how long it’s gonna take you to get to work. It’ll start showing up at nine a.m. That takes two weeks of this. If you have purchased a new phone, and if you set the new phone up by migrating your data from the old phone to the new phone, you will notice that there is no location data on your new phone. You have to start all over with every new phone, every year. If you get a new phone, whenever you get a new phone, whatever location data, usage data is on your phone does not transfer in the migration. If you back up and restore, that data is not there. It does not move from that phone. And Apple does this for security reasons. You’re starting all over with each new phone. I guess that most people are not even aware of all this, but this is the best illusion that I can come up with for now of Apple’s commitment to privacy. And it’s not a thousand percent solid. It’s not a hundred percent solid. But, anyway, it’s because of these restrictions that the FBI wanted a back door into that phone. They wanted Apple to give them a back door that would allow them to go into that phone’s operating system without cracking the security codes and all that that had locked. And Apple refused. And they were prepared to go to court to refuse. And this malware business is exactly why. Governments have these hacking apps, these hacking tools and programs, and look, they end up in the public domain, and they end up being used widely. Governments are just lousy at protecting this stuff. And Apple was arguing at the time to Comey and the FBI, “If we give you a back door, it’s gonna be two weeks and that back door is gonna be all over the world, and not a single iPhone’s gonna be safe. If we create a back –” There isn’t a back door. Right now there isn’t. If you get locked out of your phone and you forget how to get into it, you have got problems. It’s that secure. There are ways, but it’s almost impossible. Same thing with iCloud. If you forget your credentials there, you can’t call Apple. They do not know your log-in data. They do not know this stuff. It’s there on their servers, but they don’t know it, and it’s purposely kept away from customer service people, because anybody can call and lie about who they are and say, “I lost my password and here’s the information.” It used to be somebody was able to do this at one time. That’s why Apple tightened it down even further. Google doesn’t do any of this stuff but they’re able to offer vastly more predictive services that dazzle people. It’s called AI, artificial intelligence. It dazzles people, “Look what my phone knows.” The phone doesn’t know anything. It just keeps a record of what you do and then spits it back at you. But the overall point here is that this San Bernardino iPhone 5c, Apple took the right course in denying the FBI permission, or the demand from the FBI that they write essentially a back door entryway into the iOS, which would allow the FBI to get into any phone they wanted to. And this is the greatest illustration of why governments should not be given these tools, because they can’t keep them secure. They can’t keep them private. Look at what all has ended up on WikiLeaks about the CIA and the NSA’s own hacks that they have made, written and so forth, able to leave fingerprints — by the way, this Crowdsource business, this outfit that was hired to forensically examine the DNC computer network, they’re based out of the Ukraine. The guy hates Putin. The guy that runs Crowdsource hates Putin. And he said, “Look what we found. We found Russian fingerprints here.” How stupid are the Russians. You never leave your own fingerprints unless you’re trying to intimidate somebody, unless you want to be found as a means of frightening people. But a circumstance like this, can’t see any logical reason why Putin or the Russians would feel fingerprints of their hack of the DNC computer. It doesn’t make any sense. The point being that it would be wise to disbelieve this idea that the Russians hacked the DNC in the first place, precisely because those are the only fingerprints found. Then when you learn that Crowdsource, the outfit hired to study and find out who did it, is run by a guy that hates Putin. We’re being led down a path on this whole Russian hacking-the-election business and Trump colluding, this is one of the biggest scams, and it has survived for over a year with no evidence. And the only way that’s possible is the U.S. media working in conjunction with embeds in the deep state who have their own malicious reasons for leaking enough that allows the media to keep reporting on it, but it’s just stunning. There isn’t any evidence, there isn’t gonna be any evidence, because it didn’t happen. The election outcome had — it’s silly to keep saying it.